You're asked to watch a friend's video and your stomach goes weak, as in seasick weak. There are no disturbing scenes, just jerky movements from a camera trying to capture a person wheeling his bike up and down some rough terrain. There is a viewing solution for that, in video stabilization. And a new Kickstarter project has a video stabilization product that is going over big in campaign pledges. This is a plug and play video stabilization deal, and it is compatible, said Grenoble, France-based founder Adrien Farrugia, with nearly all cameras on the market. That includes GoPro, DSLRs and cinema cameras. Farrugia, a research engineer, founded SteadXP. The SteadXP confronts limitations with current video stabilization technologies and is out to make a difference. The form factor is a little box called SteadXP and it delivers 3-axis stabilization. Components include a built in accelerometer and gyroscope and a.32 bit ARM processor, and microSD card slot. You just plug it on to your camera. The movements are accurately recorded as you shoot. According to the team, "Powered by the host camera battery, you can start and stop your recording as usual, in any of the video modes (wide modes are recommended for the most dynamic scenes)." When you return home you connect it in your computer. The software takes over, dealing with data from the video. The software stabilizes and reduces all of the unwanted artifacts in the footage. This is described as post-treatment software, which can automatically upload, extract and process data to compensate for unintentional movements. Corrections include those for geometrical distortions, vibrations and rolling shutter deformations. Also, the software will suggest choices between different trajectories optimized for your shot, and the results are different looks. "Pick one profile, quick preview, click Run and that's it!" One promoted difference about their product is that with it you can shoot action shots without the bulk or hassle of other supports standing between you and the camera: no gimbals, glidecam, steadycam or shoulder rig. 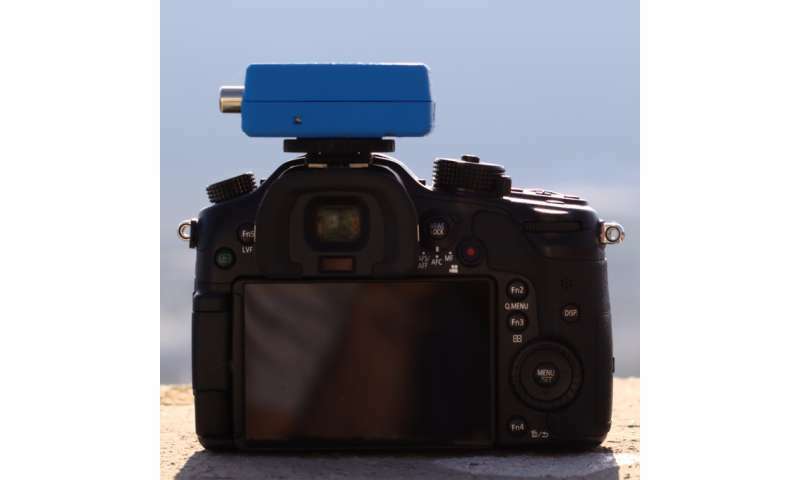 "The secret behind SteadXP is the 3 axis stabilization bundled in a lightweight box which needs to be mounted on the camera body," said Mahit Huilgol in Technology Personalized. "Three-Axis stabilizers have been in the making for a long time but they are complex in construction and bulky in weight." SteadXP anticipates its market includes professional film-makers wanting new filming opportunities and looking for perfect framing, and also athletes filming with POV mounted cameras. So far SteadXP has attracted $226,228 in pledges, more than their $167,715 goal, and with 25 days still to go. Prices and pledge orders vary; check out the campaign page for details of offers, with an estimated delivery in March. An added bonus is that the team is staging a backers' video contest. "After delivery, everyone who pledges will be able to participate in the coming months to our video contest using SteadXP technology. We propose at least two categories: amateur / professional filmmaker."